It seemed like such a good idea at the time. Well, at least sort of. Oh, hell, maybe not. Maybe it was a crap idea from the start, but I really thought it would be fun. Perhaps I should have known when I was holding a crying Brooke on the stairs just because I’d suggested that we leave the house. Or perhaps I should have known when I looked at the menu online and realized that we’d have to bring something from home as a back-up plan. Perhaps I just somehow should have had the Spidey Sense to know better. She’s not unhappy. She’s just absent. I thought she would like stirring the fondue. I didn’t think she’d eat it, but I really thought she’d like the mixing part. I thought that she’d do that Dora script that she always does when she stirs something, “Bate, Bate, chocolate!’ or that she’d say, “Mix, mix, mix, mix, mix, mix!” like she does when we stir the chocolate chips into the bowl when we make cookies. Or even say, “We’re making Chinese coffee!” like she does at the Japanese restaurant, mixing soy sauce with just about anything else at the table. She loves stirring, mixing, ‘cooking’. I thought it would work, but she’s not there. She’s sitting with us, but my girl is nowhere to be found. I thought the off time would serve us well. And it has – from what I can see, it looks like there is only one other party in the entire place. No kids crying, coughing, cooing or otherwise. Just us and a pot in the middle of the table just begging to be stirred. And she has no interest in either. And then we’d given into the iPad and let her be where she needed to be. I want to be stronger about this stuff. I don’t want to break down because my kid doesn’t want to stir food into a damn fondue pot. I mean, really. Even typing that sentence I can hear how absurd it sounds. 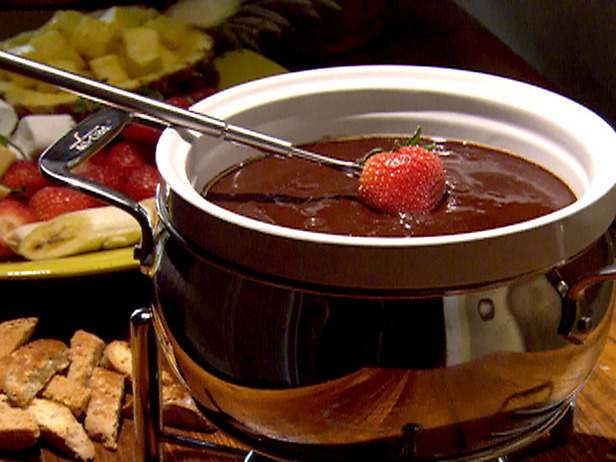 But we all know it ain’t about the fondue. I’m not crying. I’m welling up. There’s a difference, damn it. There is. Crying is well, you know that whole ugly shoulders heaving thing. Or at the very least it’s rolling tears. Yeah, that’s it. There have to be rolling tears. So it’s settled. I’m not crying; I’m welling up. But when you’re ten and your mom is welling up, she may as well be crying. At ten, she’s not really interested in my self-protective semantics. She just knows Mama’s hurting and she wants to know why. I hate these moments. I want to be stronger than this. Or at least I want her to think I’m stronger than this. But the gig is up. She knows. And she’s not letting it go. The words are hauntingly familiar. Because they’re mine. “Please, baby, talk to me. I’m here to help.” I say them all the time. Why should she do anything differently? I try to demure, to smile and wave off the question, but she’s not letting me off the hook. She’s so tender that I’m irritated, almost angry. She should never be mothering me. Not her job. Her job is hard enough. She’s not going to let it go. Very quietly, I tell her that I had just hoped that this would be something that we could really enjoy as a family. All of us. She looks at her sister, engrossed in her iPad. Ever so slightly, she smiles. She picks up a skewer and pokes it through a strawberry, then holds the handle out toward her sister. Brooke looks at Katie. I don’t realize that I’m holding my breath. “Sure, Katie,” she says as she takes the skewer from her and gently stirs the strawberry into the chocolate. She peeks up and over the pot to see what’s happening inside. She hands the now-dipped strawberry back to her sister. We repeat the process again and again, skewering everything on the table until there’s nothing left to skewer. She’s here. My girl showed up. She’s here. Katie looks up at me. She’s beaming. And I am welling up crying. I so get this. It was something I experienced on our Disney World trip time and time again, but I couldn’t put my finger on it; on what made me so frustrated and angry. You did it for me. Once again I realize I am not alone, just inept at understanding why I feel the way I do. Thanks! Ms. Katie is one special girl!!! So, so glad that you had a nice family meal! Katie is absolutely amazing! Those were better tears at the end, Sweetheart! You’re raising two absolutely amazing children. That’s something to well up or cry about (happy tears)! I think your tag at the top says it all: best sister on the planet. There’s no doubt that Katie “gets” Brooke in a way that no one else does, and vice versa. That’s special, incredible, and deserves to be celebrated. The siblings, right? Will change the world. Wow, yes, I get all of this! Thank you for putting this into words. I had such a similar moment one day when my son’s cousins and his sister were playing together, and he was in the room but not there, playing with light switches. I too felt my eyes welling because I just wanted him to be really, truly with them and playing. What Katie did was so awesome. Sometimes it’s hard to know when to just let it go and move on as a family so that everyone else still has a good time…but she helped bridge that gap. Wonderful! I can remember the days when I wanted to be like every other “normal” family and every Friday be found sitting in the same booth in the local pizza joint. Yep, that was a pic I had in my mind for years….I get it DOAM. Totally. I’m glad your trip to the fondue place turned-out better than ours. I thought it would be a great place to take the family, so that’s where we went for my birthday dinner. Absolute disaster. Another example of good idea, poor execution in neuro-typical land! See, Mama, she’s there to help. There are times when my 3 yr old knows what to do with my 7 yr old better than I do. Your girls are bound to one another in a way that only a few that lucky will ever be. I see the same in my two. It’s truly the most beautiful love in the world. Sometimes I am even a little jealous how he reaches her when I cannot. I am welling up now because been there done that! So happy you got your moment that for a little while she was there. I battle so often with my reality and my vision in my head as to how I think or wish things would be like. Honestly it is exhausting. But I keep trying and on those occasions when it happens and we all are there in the moment, even my boy, well yup I Bawl like a baby too. Just the way this mama is wired! Great post! Glad it ended up being a nice night for all of you. Way to go, Katie, for reaching and engaging Brooke. Thank god for wonderful autism siblings! My daughter is like this most of the time too. She gets it she just seems to automatically know what to do to get My David involved. This story certainly made me well up at lest my kids are in school right now and I don’t have to explain to them why I’m crying. My daughter said something the other day about how me and Nana always cry at sad commercials and shows I just told her when she’s older she’ll understand. you.have 2. very. amazing girls! Your Katie truly is one in a million. What a blessing that evening turned into for you! I think I have mentioned this to you before, but it is no coincidence that Katie is Brooke’s big sister, just like Hope is Rehma’s little sister. We don’t want our kids to have to grow up faster than they should, but dear lord what a blessing and a lesson in the ability to be present in moments of grace. crying here too. That is just beautiful. You have a very special girl there. Their relationship is special in a way that no other can match. The siblings. How lucky they are to have each other. I get it. I get the fondue, the best laid plans. The wanting her to love what you want her to love. But man. The sister thing. It’s a thing of beauty. And that, Mama dearest, is all because of your gentle, sometimes subconscious parenting. Cry those tears, lady. And then thank whatever deity you choose that you have children that can be themselves with each other – and comfort each other – with or without you. That is Quality-@ssed Parenting right there. The ability to step back and merely observe. Thank goodness for the siblings. They often know *just* what to do…and they have a connection that we cannot begin to fully explain. I love how my oldest can just “get” my 2nd born…and help him navigate, help him come back to us. So beautiful. I think many of us totally get that wanting your kid to show up. So often it takes a sibling to make it happen- my own three are all on the spectrum and they are each others’ best supports. Well done Katie! You are raising amazing girls there. Enjoy these moments. Thanks for sharing. Their relationship, the way Katie can reach Brooke…so very special. So very beautiful. Wonderful, but…. make sure that “Katie” always has someone to hand her the fork handle first also, Always as she too needs the same love but perhaps even more because she is so very special….Her sister will be hers to look after when all the adults are gone. bless that katie. what a sweet moment. aren’t siblings the best? Wow, tears here, too. It’s amazing how sometimes siblings know just what do. We have seen this with our two boys as well. Precious story of two precious girls! that katie is one wonder-terrific super-kiddo. (and she has a gift for making app recommendations. you can tell her that her list has gone over very well here, and please say “thank you” for me). Now I’m crying, too. This is beautiful. Love it. All of it. That you keep trying, even though you know it doesn’t always go well. That Katie (who really is one of the most amazing people – young or old – to grace this world) is there with you and for you. That a hard moment turned into a really amazing one. So happy. For all of you. aw, honey. god i’ve been in that spot. upset about something regarding my 9 year old son. letting my 8 year old NT daughter ‘mother’ me by telling me it’s going to be okay and asking how she can help. Welling up for you. Siblings just seem to have a way…they just know! Plus Katie seems like an extra special girl. Glad she knew just what to do, and Brooke showed up! And now I’m crying because of the beauty of your daughters’ relationship. Just incredible. And because that is so far, so diametrically opposite from what exits in my house. Ethan would prefer it if his autistic twin brother were to disappear from the earth, or at least his home. There is no “special understanding” there. Just anger and bitterness. I know/hope/need to believe that this will change some day. But right now it’s ugly and it hurts. It cuts deep. Between you and Jeneil, you keep on filling up my heart! Way to go, Brooke. You, too, Mom. Wow, yep me too after reading that. I read all of your blogs but this one, right now, was soooo needed. Thank You! I really need a Katie, she is awesome. I seriously want to give Katie a hug right now. That girl is a rock star. This is one of the reasons why the siblings of kids with autism are magical and wonderful and cherished. Katie is amazing. Now I’m crying too. Wow. Glad I didn’t put makeup on yet. That Katie is going to change the world. She already is! This made me cry! What a great story. Happy Holidays to you and your family. Stay strong and one day, you and Katie can look back at these posts and you’ll remember all these fantastic moments.